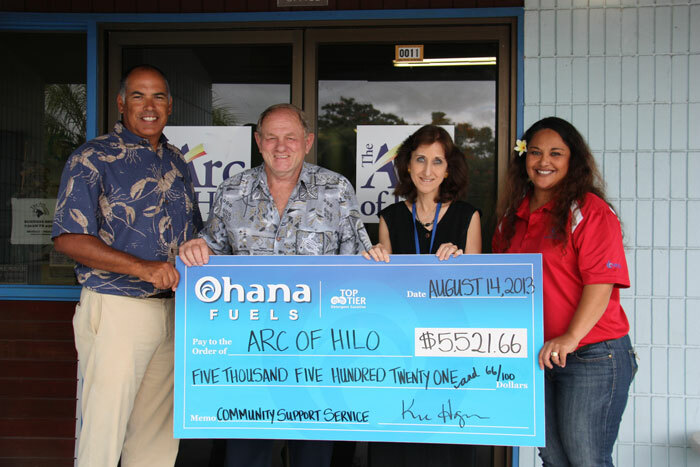 The Arc of Hilo gratefully acknowledges the receipt of a $5,521.66 donation from Ohana Fuels, a TOP TIER™ gasoline brand of Hawaii Petroleum Inc. As part of an ongoing commitment, Ohana Fuels partners quarterly with non-profit organizations that serve the needs of those living in our community by donating a portion of the proceeds from every gallon purchased at Ohana Fuels locations. 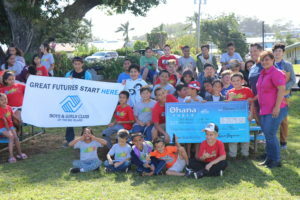 “The mission of our Giving Program is to help meet the needs of the communities we serve by supporting nonprofit organizations that improve overall quality of life. 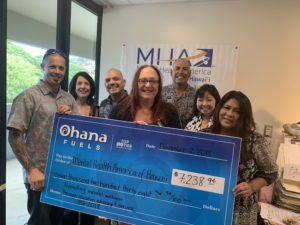 Ohana Fuels proudly sponsors events that enhance the vitality of our neighborhoods, celebrate our community’s success, and support local charities, said Kimo Haynes, President of Hawaii Petroleum Inc. 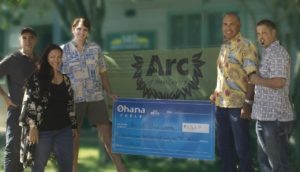 The Arc of Hilo’s President and CEO, Mike Gleason is pictured with CFO, Debbie Perkins Hawaii Petroleum President Kimo Haynes and Commercial Account Manager Joy Madriaga accepting the check.